All About The Quran A Source of Guidance Quran (Divine Book) Quran - Proof of Revelation What Others Say Quran Division? According to Allah's statements in His Book, there were two distinct revelations of the Quran which took place. It is important that these two revelations be understood in order to clear up the apparent contradictions in the various terms used in the Quran and Sunnah to describe the Quran's revelation. 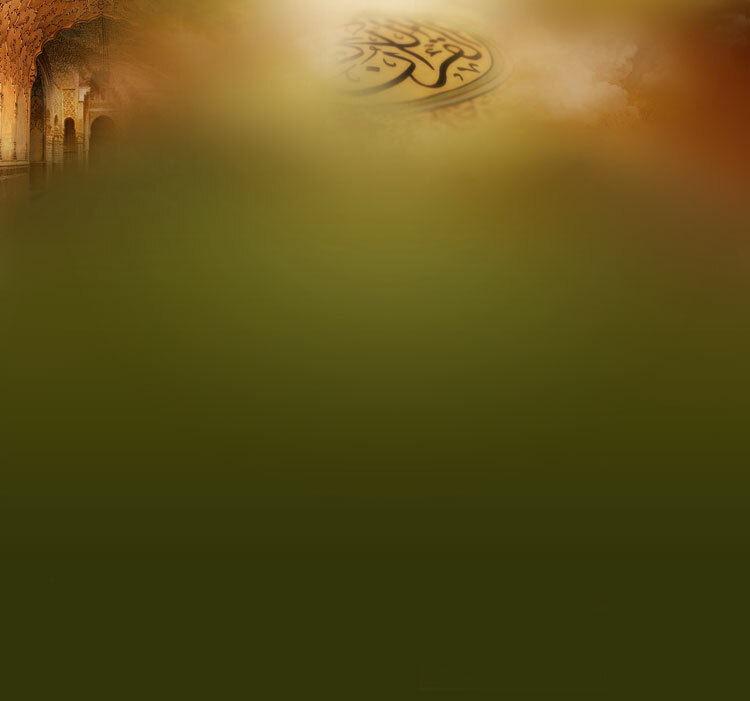 On one hand, the Quran is referred to as having been revealed in its totality in Ramadan or on Laylatul-Qadr, the Night of Decree; while on the other hand, it is referred to as having been continuously revealed in segments up until just before the death of the Prophet (peace be upon him). "Haa Meem. By the Clear Book, verily, I revealed it in a blessed night." "Verily, I revealed it on the Night of Decree." "The month of Ramadan in which I revealed the Quran as guidance to mankind ..."
These verses have to refer to the initial revelation because it is a known fact that the whole Quran was not revealed to Prophet Muhammad (peace be upon him) on a single night in Ramadan. Ibn 'Abbas stated that the Quran was first separated from its station in the upper heavens and placed in Bayt al-'Izzah in the lowest heaven. One version states that this took place on the Night of Decree in Ramadan. Had it been Allah's wish, the Quran could then have been revealed as a whole to the Prophet (peace be upon him) in a single revelation. This was the method by which all of the earlier books of revelation were sent down. But, Allah chose to divide the revelation into two parts. The first revelation within the heavens represented an announcement to the inhabitants of the heavens that the final book of revelation was being sent down upon the last of the prophets. "And (it is) a Quran which I have divided into parts in order that you (Muhammad) may recite it to the people gradually, and I have revealed it by successive revelation." The word "Quran," a verbal noun, is equivalent in meaning to "qira'ah," as both come from the verb "qara'a" which means "to read." "Verily, this Quran guides (humanity) to that which is most just." "And if the Quran is recited, you should listen to it and be silent, that you may receive mercy." "Blessed is He who revealed the Furqan to His slave in order that he may be a warner to all the worlds." "Verily, I revealed the Dhikr and verily I will preserve it." The Quran could be defined as Allah's words which were revealed in Arabic in a rhythmical form to Prophet Muhammad (peace be upon him). Its recitation is used in acts of worship and its smallest chapter (Surah) is of a miraculous nature. The Prophet's divinely inspired statements which were recorded by his followers are generally referred to as hadiths. For example, the Prophet's companion (sahabi), 'Umar ibn al-Khattab, reported that he once said, "Verily, deeds are (judged) by their intentions." However, in some of his statements, the Prophet (peace be upon him) attributed what he said to Allah; for example, another sahabi, Abu Hurayrah, reported that the Prophet (peace be upon him) said, "Allah, Most High, says, 'I am as My slave thinks of Me and I am with him when he remembers me. So if he remembers Me to himself, I will remember him to Myself and if he remembers Me in a group, I will remember him in a better group.' "
In order to distinguish this type of hadith from the previous type, it is referred to as hadith qudsi (sacred hadith) and the former referred to as hadith nabawi (prophetic hadith). The Quran, however, is not the same as hadith qudsi for a number of reasons. First, the Quran is from Allah both in its wording and in its meaning, while in the case of hadith qudsi, its meaning is from Allah but its wording was the Prophet's (peace be upon him). Second, Allah challenged the Arabs and mankind in general to produce even a chapter equivalent to one of the Quran's chapters, and their inability to do so proves its miraculous nature. This is not so in the case of hadith qudsi. Third, the recitation of the Quran is used in salah and is itself considered a form of worship. The Prophet (Peace be upon him) said, "Whoever reads a letter from the book of Allah, the Most High, will get a good deed (recorded for him), and each good deed is worth ten times its value. I am not only saying that Alif Laam Meem is a letter, but I am also saying that Alif is a letter, Laam is a letter, and Meem is a letter." However, the recitation of hadith qudsi carries none of these properties. Not only is the Quran unique among books today in its origin and purity, but it is also unique in the way it presents its subject matter. It is not a book in the usual sense of the word wherein there is an introduction, explanation of the subject, followed by a conclusion. Neither is it restricted to only a presentation of historical events, problems of philosophy, facts of science or social laws, though all may be found woven together in it without any apparent connection and links. Subjects are introduced without background information, historical events are not presented in chronological order, new topics sometimes crop up in the middle of another for no apparent reason, and the speaker and those spoken to change direction without the slightest forewarning. The reader who is unaware of the Quran's uniqueness is often puzzled when he finds it contrary to his understanding of a book in general and a "religious" book in particular. Hence, the Quran may seem disorganized and haphazard to him. However, to those who understand its subject matter, aim and its central theme, the Quran is exactly the opposite. The subject matter of the Quran is essentially man: man in relation to his Lord and Creator, Allah; man in relation to himself; and man in relation to the rest of creation. The aim and object of the revelations is to invite man to the right way of dealing with his Lord, with himself, and with creation. Hence, the main theme that runs throughout the Quran is that God alone deserves worship and, thus, man should submit to God's laws in his personal life and in his relationships with creation in general. Or, in other words, the main theme is a call to the belief in Allah and the doing of righteous deeds as defined by Allah. If the reader keeps these basic facts in mind, he will find that, from beginning to end, the Quran's topics are all closely connected to its main theme and that the whole book is a well-reasoned and cohesive argument for its theme. The Quran keeps the same object in view, whether it is describing the creation of man and the universe or events from human history. Since the aim of the Quran is to guide man, it states or discusses things only to the extent relevant to this aim and leaves out unnecessary and irrelevant details. It also repeats its main theme over and over again in the presentation of each new topic. Thus, the Quran has been preserved in both the oral as well as written form in a way no other religious book in history has. Why did Allah preserve the Quran and allow His earlier books of divine revelation to be changed or lost? The earlier prophets and their books were sent to a particular people in particular periods of history. Once the period ended, a new prophet was sent with a new book to replace the previous book. So, it was not necessary that these books be preserved by Allah. The preservation of the earlier books was left up to the people as a test for them. Thus, when the people went astray, they changed what was written in the books which their prophets brought in order to make allowable the things which were forbidden to them. In that way, all of the earlier books of revelation became either changed or lost. "I have only sent you (Muhammad) as a giver of glad tidings and a warner to all mankind, but most men do not understand." Thus, his book of revelation, the Quran, had to be specially preserved from any form of change or loss so that it would be available to all the generations of man until the last day of the world. "Verily, the only acceptable religion to Allah is Islam." Allah has described the Noble Quran with a number of magnificent characteristics of which Ibn Qudamah mentioned eight in points 27 - 30 of Lum'atul-I'tiqad. That it is clear (mubin) and makes clear the laws and reports which it contains. That it is Allah's firm rope (Hablullah), that is, it is the solid contract which Allah made a reason for reaching Himself and the attainment of success by His Grace. That it consists of distinct chapters (muhkamat), each distinct from the other, perfected and preserved from any flaws or contradictions. That it consists of clear verses (ayat bayyinat) which are clear and obvious signs indicating Allah's unique unity, the perfection of His attributes, and the goodness of His laws. That it contains clear and obscure verses (ayat muhkamat wa mutashabihat); the clear being that whose meaning is clear and the obscure being those whose meaning is hidden. And this does not contradict point number three above because the clarity there refers to perfection and protection from flaws and contradiction, while here it refers to clarity of meaning. If the obscure is referred back to the clear, all of it will become clear. That it is the truth (haqq) that cannot be affected by falsehood from any direction. That it is free from its description by the disbelievers as being poetry, magic or human speech. That it is a miracle that no one can imitate even with the help of others. The most famous proponent of this idea was Rashad Khalifa, an Egyptian biochemist educated in the United States. According to Dr. Khalifa, there is a miraculous numerical code to the Quran based on its "first" verse (Bismillahir-Rahmanir-Rahim), which consists of 19 letters. This miraculous code is supposedly referred to in verse 30 of Chapter 74 (al-Muddath-thir) which states "Over it are 19." Based on these two premises, Dr. Rashad claims to have discovered an intricate mathematical pattern involving 19 and its multiples throughout the Quran and especially in what he calls the Quranic initials which precede 29 chapters (Alif, Laam, Meem, etc.). From this discovery, Dr. Khalifa concludes that the complexity of this mathematical code's pattern in a literary work of the Quran's size is far beyond human capabilities, and that it alone constitutes the only real miracle of the Quran which proves its divine origin. He further concludes that 19 and its multiples represent the key to the correct interpretation of the Quran and Islam, and the reason why 19 was chosen is that 19 means "God is One," which is the message of the Quran. Many Muslims at first received Khalifa's theories with uncritical enthusiasm. However, when more rigorous critics began checking his numbers, they found numerous discrepancies and some outright fabrications in his data. His claims were based on the number of times a given letter or word occurs in a given Surah or group of Surahs. It was discovered that he would sometimes treat hamzahs like alifs and sometimes he wouldn't, depending on the totals he needed in a given Surah to confirm his theory. Sometimes he counted letters that weren't there, sometimes he failed to count existing letters, sometimes he counted two words as one, sometimes he added to the Quranic text and sometimes he deleted from it, all for the purpose of making the letter and word counts conform to his theory. On top of that, his letter counts changed over time, depending on whether he wanted to establish a pattern for a Surah by itself or as part of a group of Surahs. When confronted with inconsistencies in his data, he began claiming that certain verses had been inserted into the Quran that did not belong there. After this clear statement of disbelief he went on to claim knowledge of the exact date of the Day of Judgment and eventually claimed prophethood for himself. He attracted a group of followers in Tucson, Arizona, but his career was cut short when he was stabbed to death by an unknown assailant in 1990.